Product prices and availability are accurate as of 2019-04-22 23:58:53 EDT and are subject to change. Any price and availability information displayed on http://www.amazon.com/ at the time of purchase will apply to the purchase of this product. 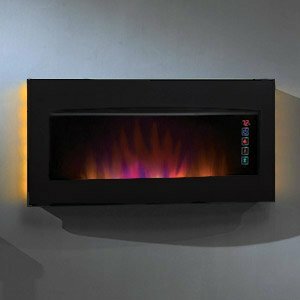 The Serendipity’s unique, patent-pending touchscreen display that sets it apart from all other electric fireplaces of its style. 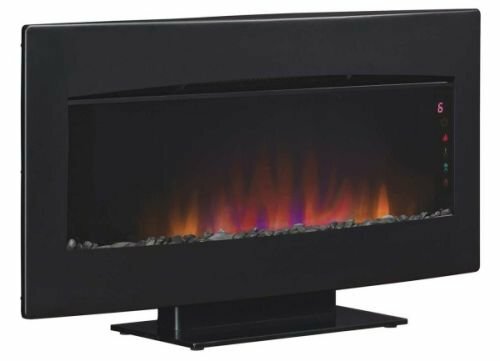 In addition to the touchscreen feature, the Serendipity 34" electric fireplace can be hung as wall décor, or can stand independently using the included custom display stand providing the look of a roaring fire year round with or without heat. 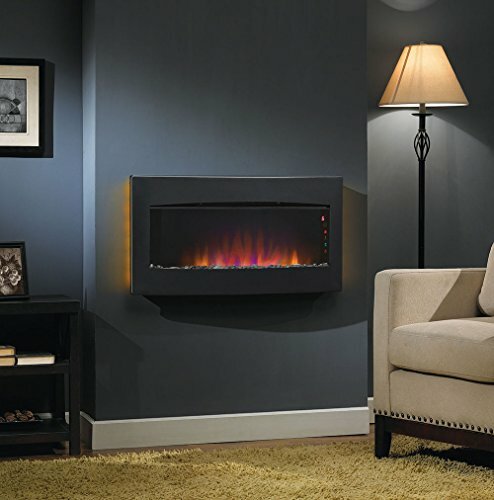 This wall mounted electric fireplace provides supplemental zone heating for up to 400 square feet. 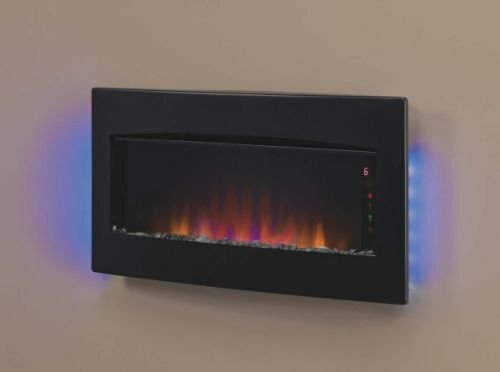 The Serendipity also features a decorative LED sidelight that glows with five color options: Amber, Blue, Amber & Blue, Color Cycling and Off. 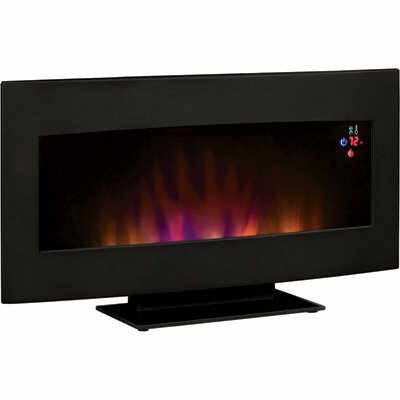 Slim line remote control, custom stand and wall mounting hardware included.